Some basketball players who were at the top of their game, and were unstoppable at the time they played have aged badly. Not just that they grew old but they grew old faster than expected. While old age is a blessing and some of the basketball players grew handsomely old, some others are really breaking our hearts with their ugly ageing looks. Though it is quite unfair to term them all ugly, but it is obvious that they look older than we thought they would at their different ages. We pulled together a quick basketball aging list so you see those who got too old for their age with their wrinkled faces. Well this is no final list, but the following basketball legends will help you know that age comes much faster at some people than others. Larry Bird rose to super stardom during his stay with the Boston Celtics, and he’s as of now the team president of the Indiana Pacers. The 12-time NBA All-Star and three-time league’s Most Valuable Player (MVP) (1984–1986) seems to have been treated unkindly by age. While his blue eyes still look young at 58, his face appears to have been fouled badly in his salad days. Dennis Rodman, a retired American professional basketball player, spent time playing for the Detroit Pistons, San Antonio Spurs, Chicago Bulls, Los Angeles Lakers, and Dallas Mavericks in the National Basketball Association (NBA). Famed for his fierce defensive and rebounding abilities, the ‘Worm’ as he was famously called looks ten years older than his actual age of 53 after dyeing his hair many colors, inking some tattoos, and having several piercings done. Tyrone Hill spent time with Golden State Warriors and the Cleveland Cavaliers, and was the assistant coach of the Atlanta Hawks. Even though Hill has been listed as one of the most unattractive men in the NBA numerous times, age still hasn’t improved his looks. He is only 47, but Tyrone Hill has the same looks with some people in their late 60s. Gheorghe is a retired Romanian professional basketball player popular for his incredible size and unattractive appearance. At 7 feet 7 inches (2.31 m), he is one of the two tallest players in NBA history. In fact, he is the tallest man in Romania and second tallest living person in the European Union after British actor and former basketball player Neil Fingleton, who stands 7 feet 7.5 inches (2.324 m). Sadly, though the giant player was never known for his appealing looks, time has added to his dilemma. The addition of folds or lines and grey hair makes him look older than his 44 years. Walton gained prominence playing for John Wooden’s powerhouse UCLA Bruins in the early ’70s, winning three successive College Player of the Year Awards, while leading the Bruins to two Division I national titles. He also spent time in the National Basketball Association (NBA) where he was league Most Valuable Player (MVP) and won two NBA championships. Walton is one of the greatest basketball players with an incredible career, but he really changed with age. He is 62 but somewhat looks older than that. 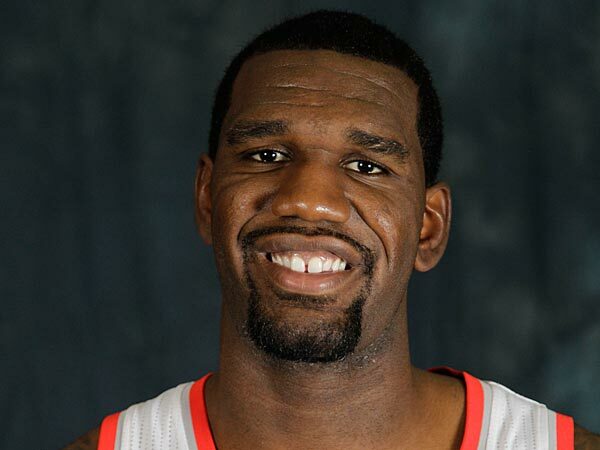 Shockingly Greg Oden is only 27, but his recent photos shows a man way older than 27. Well, you can blame his look on the stress of his career and the multiple injuries he’s sustained but the on and off basket player looks well more than his 27 years. Keven McHale is a Basketball Hall of Fame inductee and currently the head coach of the famous Houston Rockets. The 6’10” star has lost his young look as a professional basketball player, and his age (57) is easy to see by his well-lined face and dim eyes. Steve Francis played for the Houston Rockets, and was famous for his crossover dribble, driving ability, and flashy dunks. He’s always had news coverage, headlines. Well the ex basketball player is unbelievably just in his 30s, but he looks dramatically older than that. Many have speculated that drug use is behind his premature aging. Malone played the power forward position and spent his first 18 seasons (1985–2003) in the National Basketball Association (NBA). Though he is not ugly, but one look at his latest pictures would make you think he is in his 60s when he is only 52. Nicknamed “The Mailman,” the 14-time NBA All-Star is still regarded as one of the best power forwards in the history of the NBA. The nice-looking young man with well shaved bears has now gone bald with grey beards. He is a basketball coach and former professional basketball player. He currently works as an assistant coach for the National Basketball Association’s New York Knicks. Kurt Rambis spent 15 years playing for the NBA, and he went on to coach the Minnesota Timberwolves. At 57, age is coming at him fast. He’s acquired a gut, his hair is thinning, and lines on his face and neck ensure that he can’t lie about his age. Kareem Abdul-Jabbar played 20 seasons in the National Basketball Association for the Milwaukee Bucks and Los Angeles Lakers. He was a record six-time NBA Most Valuable Player (MVP), a record 19-time NBA All-Star, a 15-time All-NBA selection, and an 11-time NBA All-Defensive Team member. At 68, kareem looks like he is in his 70s.